The coolers on the chart are mostly single inlet coolers. Mastercool and Aerocool are the best if you insist on sticking with evaporative cooling. The "Other" column is a combination of mini-ductless split systems, window units and side-wall units. It's interesting data, twenty years ago it was probably 50-50 coolers/conversions! We believe folks are getting smarter, by that we mean instead of throwing away $1500.00 to install the same type of cooling they already have, they are making their home's value go up. 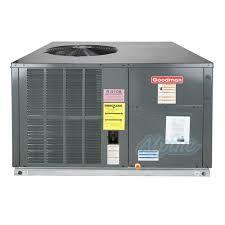 When you convert to refrigerated air you get a return on investment worth more then the conversion installation cost! Many people love to have their windows open in the summer so they keep evaporative cooling because it allows doors and windows to remain open. The maintenance issues associated with swamp coolers are obvious to anyone that owns one. Being able to just push a button and have heating or cooling is nice! So comfort, no maintenance and the value of your home increasing is really very compelling arguments for refrigerated air. Here we go again, "big brother" has stepped in and changed the SEER rating standard yet again. 14 SEER is really the least we should be putting on our homes anyway. There is still a return on investment over a 13 SEER. We will be searching for the manufacturer that gives the "best bang for the buck" on the 14 SEER. Meaning, quality and price will go into our customer's home! It is a very competitive market right now and we know customers are looking for the best deals when converting to refrigerated air. 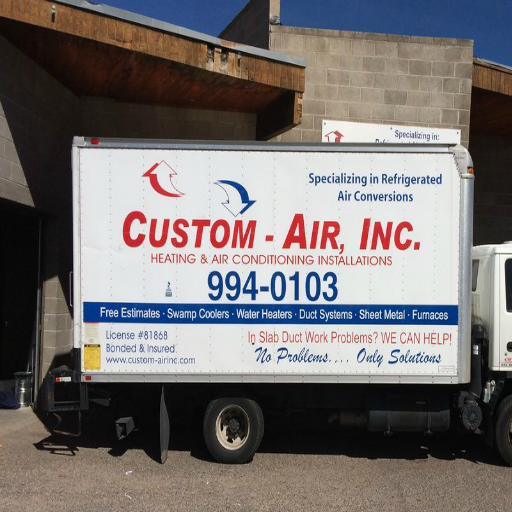 Custom-Air, Inc. promises to install quality while keeping our prices as low as possible. 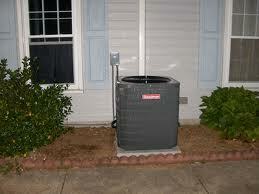 Heating & air conditioning always seems to be the least popular subject of homeowners. We have seen million dollar homes with horrible air conditioning systems because the homeowner and builder didn't seem to care about that aspect of the homes build. 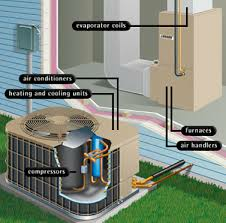 Duct systems too small or even too big for the equipment, equipment not sized properly, refrigeration not charged correctly, etc. etc. The home is beautiful but uncomfortable to be in. We spend most of our life in our home, we should be the most comfortable at home then anywhere else!! 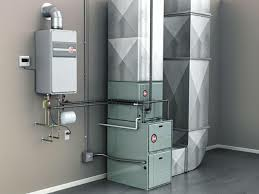 New furnace installations can be made ready for future refrigerated air! We all want refrigerated air, yes there are folks that say they don't but let's face it...to have control over your home temperature in the heat of summer is ideal. Swamp coolers will only lower the temp 18 degrees from ambient (outside temp). This means if it is 100 degrees outside you will be lucky if your swamper gets you to 80 degrees. It is now the dead of winter as we write this post and nobody is thinking about refrigerated air. If you are in need of a new furnace there is a way you can save hundreds of dollars on a future refrigerated air conversion. During a new furnace install you can have us put in an evaporator coil and just like that you are ready for a conversion down the road. No need to install it until you have saved up! Cool and heat your home with the most efficient package unit ever! The most comfortable hybrid heat machine on any roof! The prices are AWESOME...they are giving this stuff away! And we install for very reasonable prices! 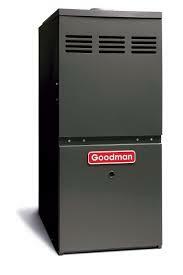 We just received a bulletin from Goodman Manufacturing about a new price program for the start of the 2014 cooling season. 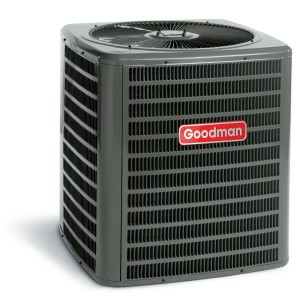 We now have access to hundreds of discounted Goodman residential products. 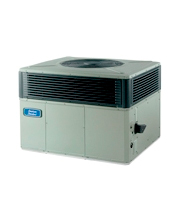 Now is the time to kick that swamp cooler off the roof and get your refrigerated air conversion by Custom-Air, Inc. We know the prices are good for central air conditioning until June 30th but we don't know how many total units are available. When we install swamp coolers we offer products that range from small window or side-wall units to commercial single inlet Mastercools. The rooftop units always receive new leg kits and an electrical upgrade. The water tubing is checked and replaced if leaking. Champion coolers are well made and we usually install them when a customer does not want the new single inlet Mastercool or Aerocool. We size the units by evaluating each home for wood content, square footage, high ceilings, etc. Swamp coolers can be sized by the cabinet dimensions and motor sizes. We use both to create the correct combination for the home.